We took new footage of Kingsley at the weekend, and apologies for not uploading it previously. Unlike most of the horses who come here, Kingsley had a heel first landing in the shoes he arrived in (although he had been toe first landing in his previous shoes). Its a very exaggerated action, because of the shoes being graduated, and you can see in the later footage that he doesn't have to swing his leg so much to engage the caudal hoof. However, you don't get a true picture of Kingsley in lateral footage, like this, so I will have to try and take some footage of him on a circle and walking towards us as well. Maybe this weekend. Meanwhile, Wiola has some interesting footage of him on the lunge in March/April this year, which was one of the short periods when he was sound enough to work lightly. The footage is here: http://freelanceinstructorsdiary.blogspot.com/2010/04/lungeing-videos-from-last-3-days.html and is very interesting, in the light of how he moves today. It had to be done, because he is now so woolly that even a short walk and trot led from another horse was enough to leave him literally dripping wet. The good news is that although he has only been working lightly for the last couple of weeks, he has stayed as sound or improved with work and also with being turned out, whereas before he came here any increase in turnout or work made him lamer. More on him soon! I have a client whose horses I have done for some years now. She is a conscientious and dedicated owner, is fortunate enough to have her own land and has a great set-up where her horses live. Her horses have good feet and everything seemed to be going just fine. Recently, as sometimes happens when you have horses, she has had a spate of bad luck for no obvious reason and 2 of the horses have had minor injuries - one a wire injury, one a neck injury. Both horses seemed to be recovering well, then the horse who had had the wire injury went very lame. She spoke to me about him, but of course the essential thing to do was to call the vet out. This particular vet took a look at both horses and decided that they both needed shoes on. The owner, understandably upset and very reluctant to shoe the horses, wanted us to all discuss together what the problem and the best solution might be. We set a date to do this, but I live quite a way from her, and so wasn't going to be able to see the horses for a week or two. In the meantime the lame horse became much worse and was in obvious pain. Again, the owner called the vet out and this time (unbeknown to me) the vet suggested that a local farrier should be asked to give a second opinion on the horses. She was still convinced that both horses needed shoes and that lack of shoes was causing their problems. The owner, when we had spoken, was as confused as I was about the reasons for the vet's opinion - the horses had been doing well for years, there had been no changes in their hoofcare, diet or environment. Both had suffered specific injuries, and the assumption was that once those had healed, they would be fine again - certainly it hadn't been foot problems which caused the injuries, and they had always done well barefoot. Nevertheless, the vet's decision is law, pretty much, so of course the owner had to do as she advised. When the farrier visited, it turned out that he was a farrier whom I've worked with before, and who is well up to speed about barefoot, so he had no problems at all with the fact that the horses didn't wear shoes :-) He was able to reassure the owner about both horses' feet and he also immediately identified the lame horse's problem - the wire injury had set up an infection and an abscess. The actual cause of the horse's sore heels wasn't (as the vet had believed) a mechanical problem of him carrying too much weight on his heels (!!) but that he had an infection. Once that was dealt with, he was perfectly sound and happy again. The reason for telling this story is that, understandably, in the middle of all this the owner was in a quandary, as the vet was saying the horses needed shoes, and I was reminding her that they had always been fine barefoot. She didn't know who to believe, so I told her what I always say to owners in that sort of impossible position: Don't believe the experts, but do believe your horse. If an "expert" is telling you one thing, and your horse is telling you another, you should ALWAYS trust your horse - he is the real expert on his own feet. I wrote on the blog last week about hooves and bodies, and how having unhealthy hooves can cause horses to adapt their movement in ways which, in the long term, cause problems in other parts of the body. So, for example, many of the horses who come here have been out of work for months, or even longer, because their hoof problems have made it impossible for them to work in comfort. The foundation has to be improving hoof health, because without sound, comfortable feet no horse (or human, or any other animal) is going to function or move correctly. The first step, then is to get better biomechanics in the hoof and distal limb - the footage of Rose is a good example of how a healthier, more supportive hoof capsule can quickly develop. Changing a toe first landing to a heel first landing (with the caveat that terrain has an effect and nothing is set in stone!) is an essential precondition to improved soundness and movement. Once we have that foundation, then its possible to start to build better proprioception, stronger muscles and a generally healthier horse. The tracks here are invaluable for teaching horses, without human interference, about where their feet are and how to negotiate uneven ground. Proprioception starts in the feet, and many horses when they arrive literally have no real idea where their feet are in relation to their bodies. Once the essentials are established, though, most horses still need to be taught about the best way to carry themselves, let alone a rider. This is where work led from another horse, and groundwork, come in. Rehab is a jigsaw, with a myriad of different pieces, and where the whole picture can fall apart if one of the pieces is wrong or doesn't fit. More about that in future posts! Our treasured high pressure weather system has now disappeared - its wet, wild and windy and although the temperature has gone up a few degrees, its no consolation for the loss of the wonderful clear, cold days we've had so much of this month. ...but no problem keeping up! Solomon has been here 3 weeks, and now has his hooves firmly under the table :-) He has decided that he runs Rockley when Felix isn't around, and has wormed his way into the affections of even Bailey and Angel. ...but is such a no-nonsense little horse that he almost immediately set about growing better hooves. The video footage above also shows a small but clear improvement in landing, particularly in his RF and LH. Solomon started working in hand a week or so ago, and although the surfaces and the amount of work he can do is limited, he is only improving as he works and should go from strength to strength. Previously, any work made him lamer so his hooves are already healthier than they were. Took Angel out hunting today, Richard took Felix...Andy sensibly stayed at home. While I was tacking up the horses the rain was HAMMERING on the roof of the barn, so hard that even Felix rolled his eyes as if to say "Are we really going out in that?!". Off we go - still so dark that even after unboxing we needed headlights on the horses, let alone the vehicles, and I couldn't take my eyes off the purple-black storm clouds which were rapidly approaching. Hounds ran beautifully, despite everything, and luckily we were cracking on so kept fairly warm, but after an hour or so it got really melodramatic. Literally, the huntsman cantered past down a valley towards a gate accompanied by rumbles of thunder and bolts of lightning - it was like being in a bad play! To his eternal credit, and bless his cotton socks, he didn't throw his toys out of the pram, scream and leave, (though I suspect he was thinking why, oh why did I emigrate from the land of indoor schools and lovely sheltered arenas to this god-forsaken arctic region...) as he would have been well within his rights to do, and he did work out after a minute or so that pacing round actually made it worse, best to just stand, bum to the wind, being drenched in icy hail :-( Meanwhile, Richard said, the hounds had formed themselves into a communal ball, in the shelter of the huntman's horse, and looked exactly like a group of penguins during a polar storm! Bailey W's owner, Lainey, came to see him yesterday, and despite the appalling change in the weather - which has gone from dry, cold and sunny to wet and vile - we took him and Angel out for a stomp up some of our steep hills. One of the things Lainey had been dreading was putting Bailey on a circle because that was always the test she used to work out whether he was still lame after his previous treatments. I'd introduced some rehab work on the lunge a few weeks ago, and despite his poorly RH, which set him back, he had been making good progress - from (at first) clearly unlevel on the left rein to level but short-striding and, over the last week or so, starting to look once more like the posh horse we know he really is! For completeness, above is the photo of his worse hoof, left front, on arrival. You can see from the photo of his hoof from yesterday what a change in loading and angle is taking place - he still only has half a good foot, but its enough to make a difference! What I see time and time again is that a horse with uncomfortable feet has an uncomfortable body - thats something which will come as no surprise to any horse owner or rider. Many rehab horses, before they come to us, are receiving regular bodywork from massage therapists, osteopaths or physios and its always interesting and useful to have their reports on the horses. Very consistently, horses who have ultimately been diagnosed with caudal hoof problems also have back pain, hind leg lameness, shoulder and neck pain. The bodyworkers usually do an excellent job of improving the horse and alleviating the problem but of course if the cause of the problem is the hoof pain, it will recur unless and until the hooves are also improved. Horses are great copers, though, and will usually try to find a way to adapt and keep moving - hence the toe first landings which I regularly see on rehab horses when they arrive: if you can't use the caudal hoof correctly, you must adapt and use the toe. In the short term, at least it allows the horse to move, which is a survival essential for a prey animal, even if the long term payback is muscle and tendon damage. Although its wonderful to witness, and a constant thrill, I've never really been satisfied with horses simply growing healthier hooves - I also want better movement, stronger muscles, more flexibility - in other words for the horse's whole body to be functioning as well as it can. Healthy hooves are a mirror for overall health - certainly a horse with poor hooves is almost always a horse with biomechanical and nutritional problems. But sometimes even after hooves have become healthier, horses can be stuck in patterns of poor movement, perhaps because of muscle memory, perhaps due to lack of proprioception or simply because muscles have become weak. Changing these patterns is the next big step towards a healthier horse - more on that shortly! Who says a clipped horse's coat doesn't shine?! Only a short blog today, more lovely photos from glorious Exmoor, but I have lots to post in the next few days! A stunning day - how long will this amazing weather last (its cold now, though!)? Ellie, Angel and Felix watching hounds going home. Of course, these don't tell the whole story; on the day I took these photos, Felix and Angel covered 17.8 miles and although part of the terrain was open moorland and beautiful going through heather and grasses, about 50% of it was stone tracks with large chunks of granite unavoidably bedded in them, and there wasn't the option to go slowly and pick your way, either. Angel is not a fan of that type of ground, but he copes with it admirably. Felix simply dances over it. As regular readers will know, one of the records I keep of rehab horses is to film them on a level, hard surface and monitor how their landings change as their hooves become healthier. Most arrive landing toe first, some also have medio-lateral balance problems and these inevitably change as the foot becomes healthier. I noticed that there has been a discussion over the last few days on the Horse and Hound forum about heel first landings, and one of the posters referred to our footage, which was nice (I know when we have been discussed on HandH because I suddenly have people visiting the blog from there(!)...). The discussion is here: http://www.horseandhound.co.uk/forums/showthread.php?t=408493 in full. There is a combination of sensible, ignorant and frankly bizarre opinions on there, as is often the case (included in the latter is a comment by one Jaime Jackson trained trimmer who seems to think that its better for horses with tendon injuries NOT to land heel first and that a heel first landing is achieved by "invasive trimming"! Yikes!). On a more constructive note, one poster commented on the fact that horses are filmed on level, hard ground and then asked "Are horses always supposed to land heel first?". Its a fair question, because it would be a biomechanical impossibility for a horse to land heel first in every scenario, and it seems that some people assume that, because its healthy for a horse to land heel first on hard, level ground, they should do so on all terrain and all surfaces. So, this post is designed to (I hope) clear up some misconceptions. The reason I film horses where I do is because to film usefully you need to be able to see the landing, so it has to be on concrete rather than, say, in a school or field. That surface though is a test surface - rather as you would lunge a horse to check its soundness but don't expect your horse to spend all its time on a 10 metre circle. Its healthy for a horse on a hard, level surface to land heel first - here is an example: http://www.vimeo.com/14334063. This isn't some human-imposed criteria, its a function of the horse's anatomy. The back (caudal) area of the hoof contains shock-absorbing structures, the toe doesn't. So for impact forces to be dissipated efficiently, a heel first landing is essential. The whole of the horse's limb anatomy is designed on this basis, which is why horses tend to develop soft tissue damage, particularly DDFT lesions, if they regularly land toe first on hard, level surfaces. As I explain to students and owners, a heel first landing will be exaggerated as a horse walks down hill, so if you want to get your eye in for spotting it, having a horse walked down a gentle slope is useful. Biomechanically, it makes complete sense - going downhill is concussive, so using the back of the hoof - in a healthy horse - minimises concussion. Pure gravity will also dictate that, as the ground falls away, the horse will naturally land heel first. By contrast, horses moving uphill will engage more toe first, partly down to basic mechanics, again - the ground rises up so the toe contacts the ground first. Equally, there is less concussion going uphill so less damage is done by a slightly toe first landing. In both cases, the steeper the slope, the more pronounced the change in landing. So, simple biomechanics means that horses in the early stages of caudal hoof pain, navicular etc are reluctant to walk downhill - they are forced to engage the caudal hoof more than on the level, and it hurts. Horses like this will always prefer going uphill to going downhill, because uphill they can land toe-first, which is more comfortable for them. This is also the reason why wedged and bar shoes sometimes bring short-term pain relief for horses with caudal hoof pain. When people say, however, that its normal for horses to land either heel or toe first, they are only partly correct. As with most things in life, it depends on context. Felix and Charlie will dig in with the toe first going up a steep hill, but on no other occasion. Racehorses at full speed on turf will land heel first - though many have weak caudal hooves and will tend to land flat or toe first on harder surfaces - thats not a healthy sign, though. Its been such a busy week that its only today that I've had the chance to upload Kingsley's footage from day one. Its amazing to think he has been here a week already - in some ways he has fitted in so well that it feels as if he has been here months, but on the other hand a week is only the blink of an eye in rehab terms! Apologies for the delay, but Wiola had put such a lot of good footage on her blog http://freelanceinstructorsdiary.blogspot.com/search/label/Kingsley%27s%20Rehab that I knew people would already have a good idea of how he was moving. Interestingly, Wiola had already noted that Kingsley was landing better in the shoes in which he arrived than he had in his previous shoes, which had a more extreme wedge and pads. Wedges tend to make horses land toe first, and its possible that the reduction in the angle had encouraged Kingsley to land better. Either way, its encouraging that he is able to engage the caudal hoof already. What you can't see from this clip, however, but you might be able to on Wiola's footage - http://freelanceinstructorsdiary.blogspot.com/2010/10/kingsleys-day-1-at-rockley-farm-video.html - is that he has a very peculiar action, swinging one hind leg out and falling onto the front limb on the same side. 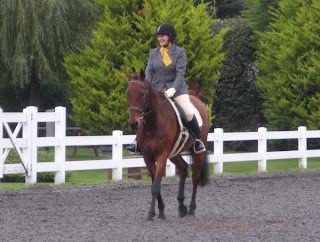 He also finds it impossible to trot on a circle, so we definitely have lots of work to do(!). More on him later in the week, I hope. Solomon photos - a hoof coming back! The photos show the change in one foot, the left front, over just 2 weeks. Solomon doesn't yet have much new growth, certainly not enough to see a change in angles yet, but already its a much more purposeful set of feet. The top photo shows his foot the day his shoes came off, the lower one is 2 weeks later. There isn't a huge difference, but the heels and frog are de-contracting, the toe has shortened and the whole solar surface 2 weeks on looks as if its working and receiving better stimulus. Jen asked me to do a post about minerals, giving a bit more detail about how we supplement, because correct nutrition is something that I always harp on about! Sarah Braithwaite and I long ago reckoned that good nutrition, rather than a particular trim, is actually the foundation to healthy hooves and its so important that, without it, you'll struggle to achieve barefoot performance. What we didn't realise until more recently is that we are very fortunate at Rockley to have a naturally occurring good balance of minerals in our forage. This means that with the horses having ad lib haylage or grazing, we can very easily supply an optimal mineral balance simply by topping up the minerals which are slightly low. Unlike many areas, we don't have significant imbalances and over the years this has been reflected not just in the hooves but in the overall health of our own horses. 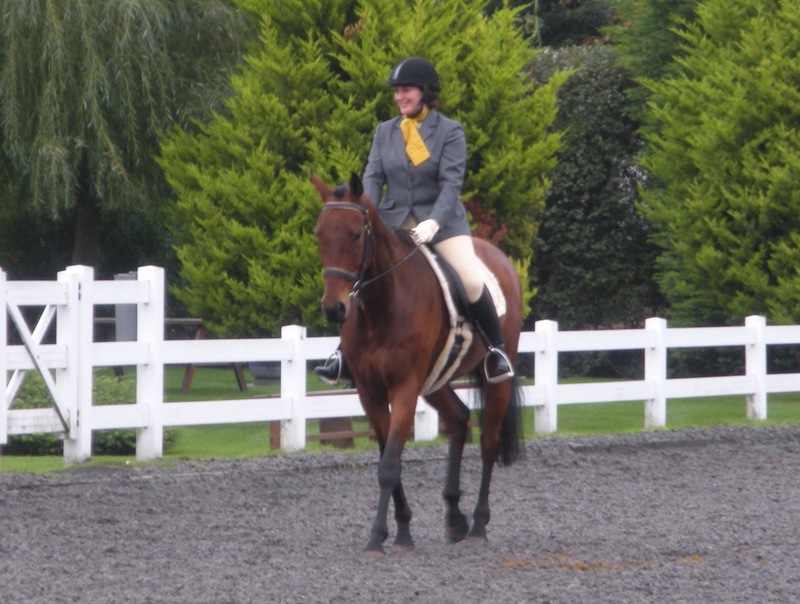 Ghost was a good example, as he moved here with us from Hampshire aged 18, in reasonable health but lacking topline, condition and muscle (he was also lame of course, but thats another story!). Within a few months of being here, he looked better than ever and at 25 yrs old looked fantastic - certainly better than he had 10 yrs before and looking half his age. Another piece of good fortune was that Rockley had in fact never been farmed other than organically, so the biodiversity of the fields hadn't been lost and we didn't have to correct the damage caused by large doses of nitrates, pollution or mining, all of which are common problems in some areas. When we moved here, we had analyses done of our soil and forage and so we were already familiar with the minerals which were likely to be abundant or deficient. We'd done this because a knowledge of baseline mineral levels is essential if you are farming organically, as we do here. Our soil is acidic, so liming to correct pH levels was also necessary, as it is in many areas of the UK. Over the years our horses and the rehabs have done very well on a broad spectrum basic mineral supplement of seaweed, brewers yeast, linseed and magnesium oxide. This is the bog-standard mineral supplement we talk about in "Feet First" and it has the advantage of being very safe and very effective. HOWEVER, while it works well at Rockley, where we have a good level of minerals in our forage, it may NOT be adequate in areas where there are serious deficiencies or excesses. This is something that Sarah found out, as her land is very high in iron and manganese, and it led to her horses being deficient in copper and zinc as a result - a good "basic" mineral supplement simply wasn't enough to correct the mineral imbalance she had, so drastic measures were called for, including giving very high levels of the missing minerals. The problem is that although you can safely feed the basic supplement set out above pretty much to any horse anywhere, what you can't do is additionally supplement copper, zinc and other trace elements which are commonly lacking, such as selenium, without knowing whether you have a deficiency because an excess can be toxic. So, the practical advice is to try feeding a basic supplement plus your forage, but if your horse's hooves aren't improving, then the next step is to have a full mineral analysis of your forage (which costs typically £40-50) and then feed additional minerals and trace elements to balance that. Lots of feed and agricultural merchants will analyse your forage, and Sarah Braithwaite has a new service via www.performancebarefoot.co.uk for bespoke advice on mineral balances and supplementation. "Just thought you might like to know Frankie made his first competitive outing on Saturday - just some unaffiliated dressage at Patchetts. It was all terribly exciting and we bounced round the warm up, eyes on stalks, neighing at everybody. Only got 54% but I was actually really pleased with him as he managed to hold it together in the ring albeit doing giraffe impressions and neighing at the judges in case they hadn’t seen him. Hopefully next time he will be calm enough to listen to me and work properly." I've also heard this week from Lady's owners, who say she is feeling well and going well - the woodland track is working, despite our autumn flush of grass! Meanwhile back at Rockley we are all enjoying fabulous autumn sunshine, and Solomon is no exception, though being black, he actually got too hot yesterday afternoon and had to find himself some shade under the elder tree - eventually he came inside to cool down! He has been doing a lot of stomping round the tracks since he arrived, and I will post hoof update photos of him shortly. We've had high pressure over us since early last week and its been beautiful - dry and often sunny, though it was very murky at the weekend. The only downside is that the high pressure has been accompanied by a stonking east wind which has been roaring in round the far side of the track. The horses, understandably, have preferred to stay in the sheltered west-facing areas but fortunately they are a peaceful bunch and seem content to all hang out together in the yard and firs. Despite Solomon and Kingsley being new boys, it looks more as if they had lived here for years. Rose, as you can see from this picture, is rather taken with Kingsley...! Bailey W is another who loves sunbathing but he has had a bit of an unfortunate week as he somehow acquired a bruise on his frog which made him very sore on his right hind leg for a few days. Its improving now but its a shame he had that slight blip, as he has been doing so well up till now. However, he is on the mend and as you can see is still more than capable of posing for the camera! This is the addition to the photos of Rose's hooves which I posted last week. As I said then, its been a bit of a challenge to enable her to land correctly, as she not only had a toe first landing to contend with but also poor medio-lateral balance - which makes her tilt onto the medial (inside) hoof wall of her RF on landing. The video clips of her during her rehab are here: http://www.vimeo.com/15713642 as our internet connection is a bit too slow today for me to out them on the blog. Fortunately, she has made good progress, as the clips show, and she should now be on a "virtuous circle" of improvement. Another new horse arrived for rehab this weekend - Kingsley, a handsome Irish sports horse who is only 6 years old. He arrived wearing graduated aluminium eggbar shoes - not particularly attractive, perhaps, but actually an improvement on the shoes he had worn previously. I'll be uploading his video footage later and there will be lots more about him and Solomon, of course, over the next few weeks. Time for an update about Rose, who as you can see is growing in a new hoof at a much better angle on both front feet. The new growth is not only at a steeper angle, indicating a stronger, better connected hoof capsule, but it is also better quality - dense, shiny and without event lines. What you can't see from these photos though is that on her RF she has very poor medio-lateral balance which has forced her to load her foot in an unbalanced way, landing clearly on the medial side. Along with most horses, she was landing toe first on arrival but although she now lands consistently heel first on the LF, the RF has been proving more stubborn, because the medio-lateral imbalance was also a problem on that foot. Its partly a question of time and patience, because the new hoof capsule she is growing is at a much more supportive angle and should resolve the imbalance, but for the moment, Rose is having to make do with only having about a third of a good hoof capsule, poor darling. I found an interesting application online recently which tracks the changes in hooves using photos. It gives quite an insight into how the load on the limb changes as hooves become more healthy. This clip is of Frankie, but I will probably add more when I have got the hang of the software! Not horse related, but how can you resist a clip of the hound puppies :-) I was trying to film something else and they were everywhere, so they got their own clip in the end! This is Solomon's footage from day one, in his bar shoes. His landing isn't the worst we've seen, by a long shot, but its far from heel first. Although he has a better landing behind, even that veers between toe first and heel first. We had a new arrival last week, Solomon, a smart Welsh cob who has come all the way from Milton Keynes. He arrived in egg bar shoes and has been off work for more than a year with a navicular diagnosis following nerve blocks and X-rays. These are hooves which I suspect are going to change radically and quickly, but for now he is very cheerful - despite the rain - marching around on the tracks with his new friends. Just to finish off the week's posts about tracks (this is another one for you, JenJ! ), here are some photos taken of a brilliant woodland track created for one of the rehab horses once she went home. The horse in question has been fairly sensitive to grass, so turn-out in a field hasn't been a practical option for her, as she develops bounding digital pulses and becomes very footy. Fortunately, she has very creative and inventive owners and rather than admit defeat, they decided to use whatever they had to create a perfect environment for her. They don't own their own land, but there was a large area of woodland at the top of their fields, and after a lot of hard work clearing undergrowth, they have developed a woodland track just for her. She can roam about on 3 different levels, getting lots of much needed exercise, and she also has a fantastic view across the river estuary, as well as of her pony friend in the adjoining paddock. Its a brilliant solution and for me it ticks every box - it uses land which would otherwise be overgrown and neglected, it gives the horse a stimulating, natural environment with lots of exercise, it saves her from having sore feet due to too much grass and it cost very little, as the land was being reclaimed - everyone's a winner (although it is a heck of a hike carting water up there...! ).